Double one-story cabin located on the lower deck. 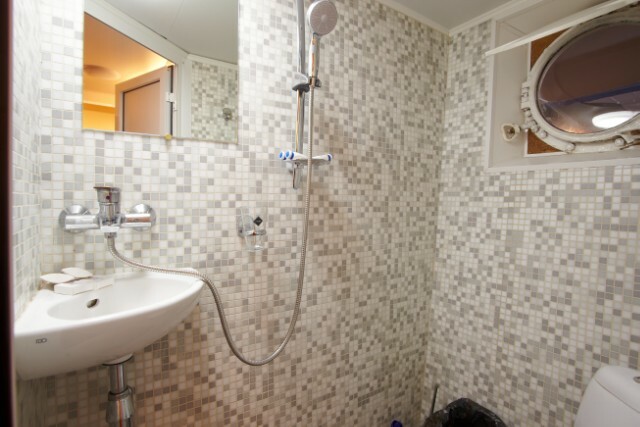 The cabin consists of 2 single beds, TV, fridge, restroom (washbasin, shower, toilet), central air conditioning, cabin hairdryer, individual phone line. Berths in cabin: main 2. Fare per category per person in rubles (unless specified). Please pay attention! Russian group. Excursions, culture programs, menu and tour support are provided in Russian only. The cruise package with excursions includes: your selected meal plan, the excursion package as outlined in the cruise program, cabin accommodation, bed linens and information and entertainment on board. The cruise package without excursions includes: your selected meal plan, cabin accommodation, bed linens and information and entertainment on board. There is an additional fee for meals and excursions for children without a berthing space (5 and under). 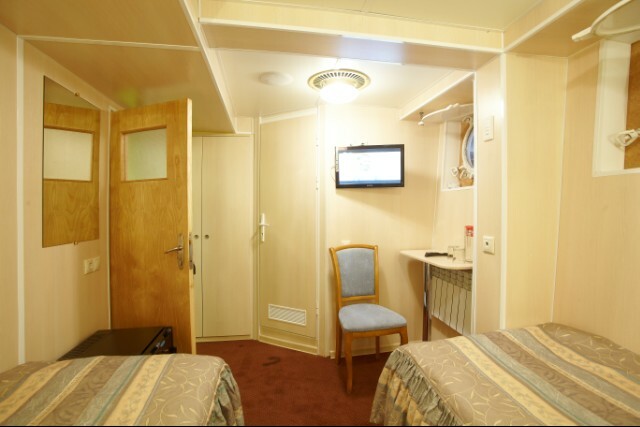 Additional payment for single accommodation in double cabins of category 1A,1B,1С, 2B is 65% of the cost of the main berthing space. Additional payment for single accommodation in Semi-Suites A and B and Suites Л is 80% of the cost of the main berthing space. 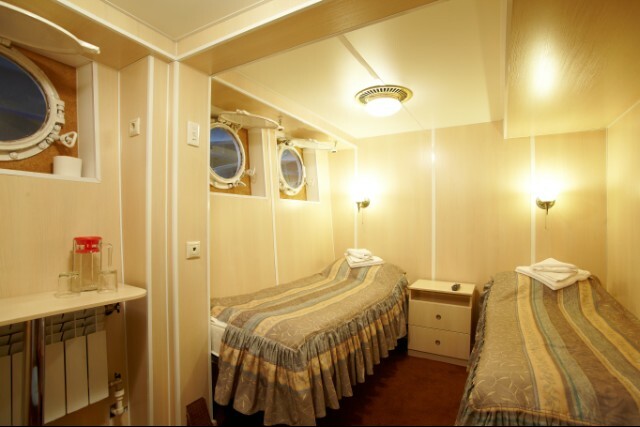 Additional payment for double berth accommodation in triple single-story cabins of category 1B (No, 72, 73) is 65% of the cost of the main berthing space. Discounted rates for children 14 and under apply only if children are travelling with adults (cabins 1А, 1B, 1С and 2B). - children 2 and under sail for free without an extra berthing space (no meals, nor excursions) if there is no berthing space available only with the consent of the manager. - In case there is berthing space available, children 5 and under can be accommodated, children’s fares of corresponding cabin categories apply. - Accommodation of adults with children in 2-story cabins stipulates that the adult berthing space is always calculated by the cost of the main berthing space. Accommodation of adults with children in cabins 1A stipulates that the adult berthing space is always calculated by the cost of the main berthing space. The company reserves the right to change its fares at any time.